Mulindwa (C) outside Masaka court after the ruling. MASAKA. 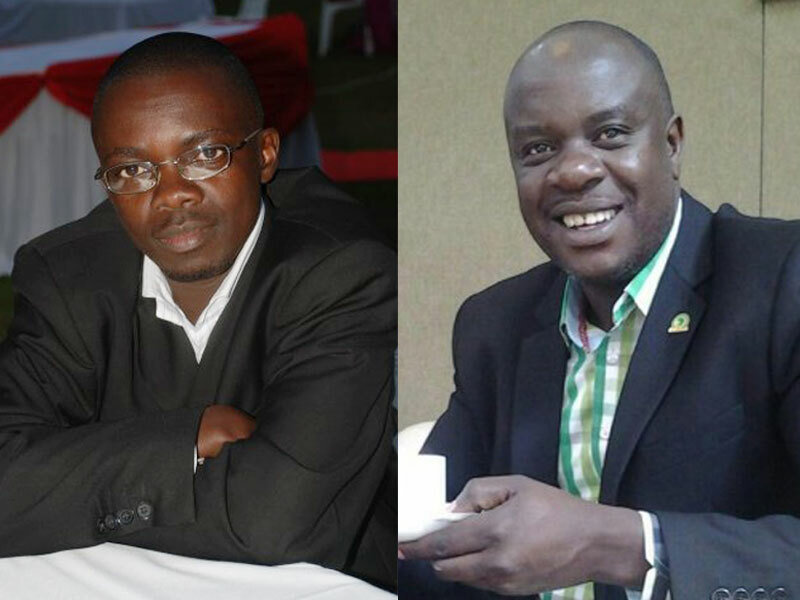 Uganda Radio Network journalist Edward Bindhe has lost an assault case against NRM spokesperson Rogers Mulindwa with the court saying the case lacked merit. 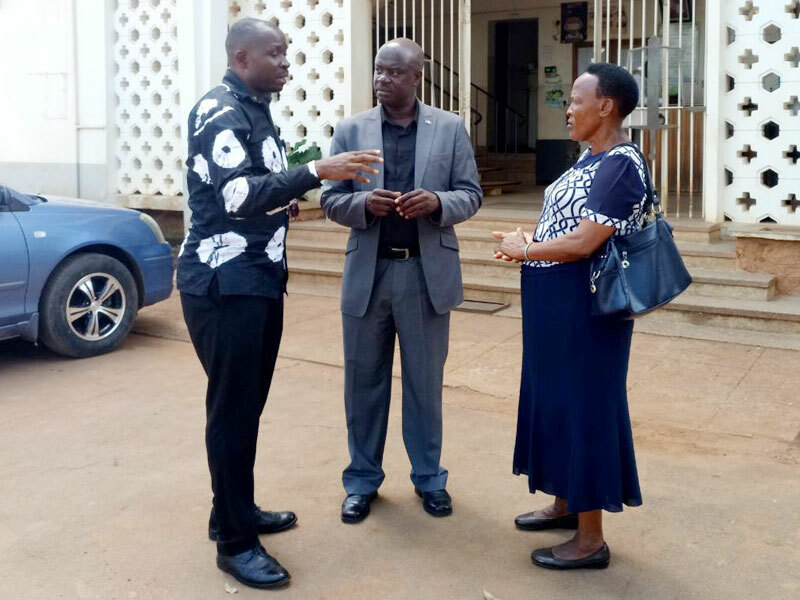 Masaka Grade One Magistrate Adams Byarugaba Tuesday acquitted Mulindwa of the offences of malicious damage to property and assault on the journalist in a ruling that said the plaintiff had failed to adduce sufficient evidence against the accused. Bindhe dragged the NRM spokesperson to court alleging that the latter had on May 12 2015 at Garden Courts Hotel during an NRM leaders’ meeting, attempted to strangle, damaged his glasses and caused him bodily harm. However, in his judgement, Byarugaba said there was no evidence of assault and that the medical officer who stood witness for Bindhe could not even recall the body part injured or even the nature of the injury. The court observed that Dr Francis Ssenyonjo Mbazira had also “casually filled” filled the medical form. However, speaking to PML Daily yesterday, Bindhe said the case had been mismanaged at investigations level and that the magistrate had noted this when he cited the failure by Police to submit his damaged eyeglasses as evidence. “Remember my file was stolen and disappeared for year frustrating me to provide witnesses. A police officer handling it disappeared with it at some point… I’m going to consult to see what next,” he said.